It’s inevitable. At one point or another, your systems will probably need to recover from an event that will cause loss of service or data. That event will negatively affect your company’s bottom line. According to a survey done by ITIC, 81% of respondents reported a loss of $300k per hour during a downtime event. Yikes! Whether it be human error, or a disaster that is completely out of your control, downtime events are bound to happen. However, how you respond to that event will overshadow the event itself. You can do so in a positive manner if you are well-prepared. This means creating an environment for your systems that allows them to keep running when an error occurs. Creating a High Availability (HA) environment for your IBM i servers will take some extra work upfront, but will absolutely payoff in the future. 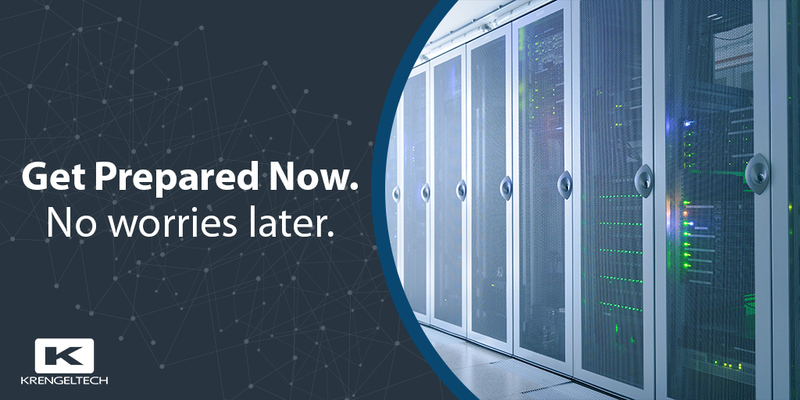 Extra preparation will ensure your Disaster Recovery (DR) process will work smoothly; thus minimizing downtime and protecting your organization’s bottom line. We’ve put together a few tips on how to prepare for downtime. Create a HA Environment in the Cloud. Even if you’re not ready to start moving off your on-prem servers, creating a High Availability environment in the is cloud is a great way to get started. This will enable you to have back-ups and automatic failover in place at a separate location. There are many products available that can help you ensure data replication. Check out HelpSystem’s Robot HA, SyncSort’s MIMX or IBM’s PowerHA to get started. Make sure you have all vendor License Keys available for your HA/DR systems. Check with your vendors to see available options. Krengeltech offers discounted license keys for our RPG-XML Suite. Test your failover processes on a regular basis. Consider setting up a schedule to do this on a regular basis. This will give you confidence failover will be successful as systems change over time. Create a critical communication plan. During downtime, you may be bombarded with questions that will distract you from the handling the situation. Creating a communication plan (with the help of your Marketing or Communications team) beforehand will help you keep focus. Check out this article to learn more. Keep a list of emergency contact information readily available. Downtime events are stressful. Make sure you know how to get a hold of your vendors quickly. Taking a few steps upfront to prepare for downtime can make a positive impact on the event. If you have any more questions about creating a high availability environment in the cloud or needed backup licenses for RPG-XML Suite – Let us know! We want to make sure you are prepared.